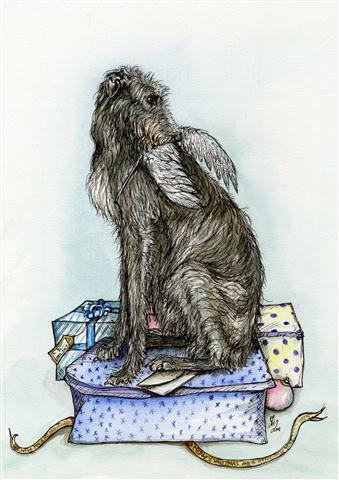 Charming Deerhound Christmas card with envelope. New for 2012. The cards are made from pulp sourced from sustainable forests (Scotland, Scandinavia), are ECF free & printed using vegetable based inks. Artwork by Elle J Wilson.